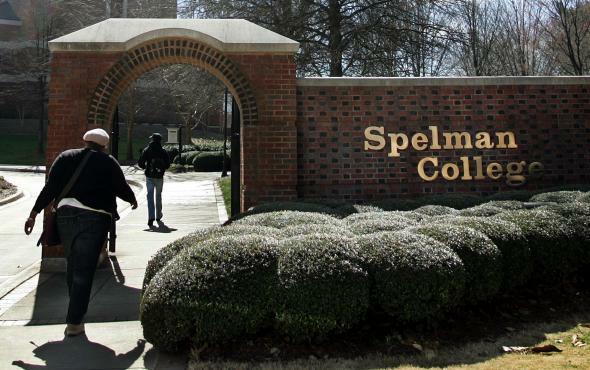 Spelman College, Bill Cosby: Chair endowment program suspended amid allegations. More than 20 women have accused Cosby of drugging and/or sexually assaulting them over a period of time ranging from the 1960s to 2005. In recent weeks, as old allegations have been republicized and new ones have surfaced, NBC and Netflix have dropped Cosby projects and the Navy has revoked an honorary title bestowed on the comedian in 2011. Cosby has resigned from positions he held with Temple University and the University of Massachusetts at Amherst and been removed from High Point University’s board of advisers, while the Berklee College of Music has stopped giving a scholarship in his name. Spelman noted in a Nov. 25 statement that a $20 million donation it received from the Cosbys in 1988 came from the family as a whole rather than Bill Cosby individually. Two of the Cosbys’ daughters attended Spelman, and a campus building is named for Camille Cosby.